We are hosting a recession session with Gina Faustino on Saturday 30th June (10am – 4.30pm) in our studio in the Phoenix Park in Dublin. If you are interested in taking part please give Gina a call on 00 353 (0) 87 29 35 172. 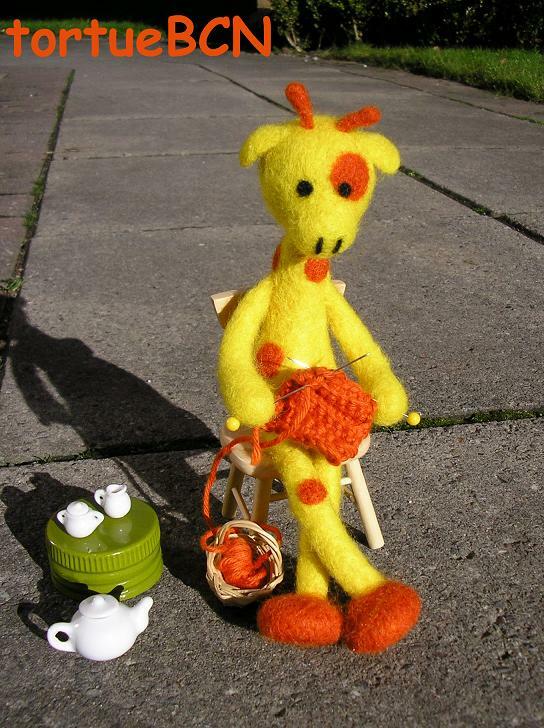 The workshop will cover all of the basics of feltmaking and costs just €40. Thank you Gaia & Paola! 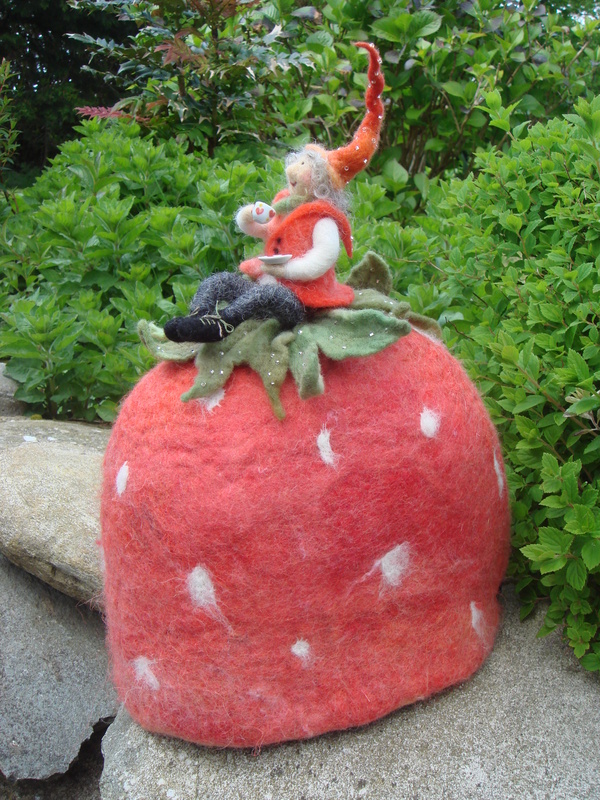 Anyone who is interested in learning about needle felting can avail of a Recession Session workshop in the Feltmakers Ireland studio on Saturday 16th June with skilled feltmaker Natzaret Sindreu. The all day workshop costs just €40 and you can book a place by contacting Nartzaret 086 3046845. We call them “Recession Sessions” as we try to provide workshops with the best possible quality at the lowest possible cost to participants. 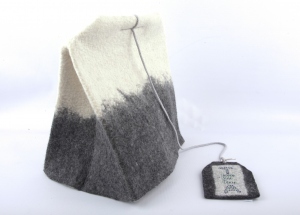 Congratulations also to member Michael Markova who wone the Popular vote prize with her felted tea cosy. Where would you get yummy home made cakes and coffee, a chance to win great felt related prizes, a stunning Fashion Show and an opportunity to browse a marketplace full of fibre related good? At Feltmakers Ireland’s AGM of course. And all at no charge (we are not responsible for anyone who indulged in buying loads of wooly things!). In return for having a free stand all the stall holders donated a prize for those who attended, the FI committeed baked lots of gorgeous cakes and members participated and helped work towards making the Fashion Show a great success. 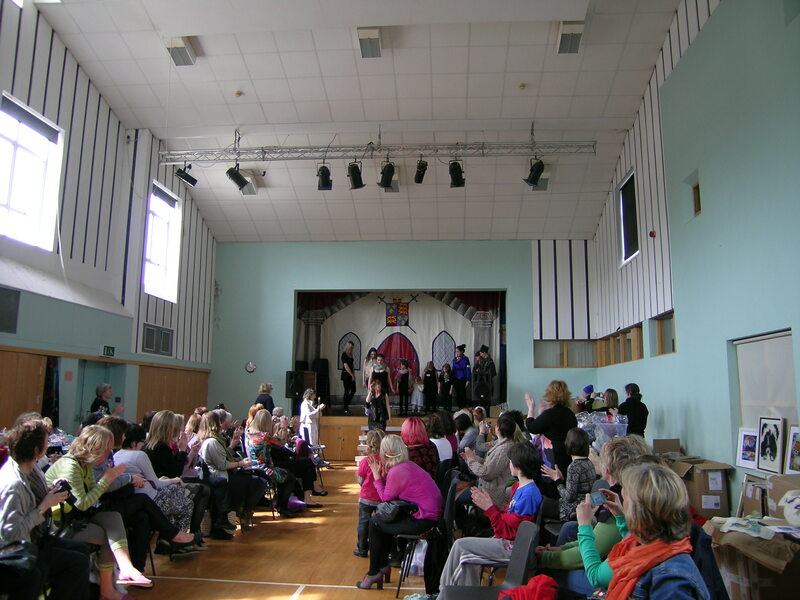 Almost 100 people attended this years event and everyone seemed to have a really good time. The committee went home exhausted but happy at a great day – and year’s – work done. 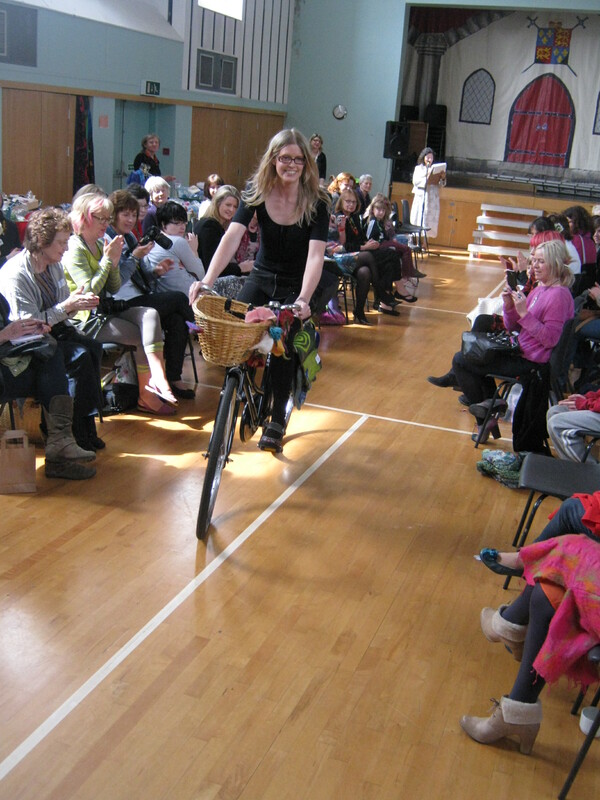 We even had felted panniers for a bicycle! ****Deadline approaching *****For anyone who is interested in Dagmar Binder’s workshop, the deadline for applications is next Friday 11th May, the application form and details are on our website. Dagmar is a very talented and inspiring teacher and we are delighted to have her – she will be giving a talk about her work which will be open to all members. The workshop and talk take place in Collins Barracks in Dublin at the end of June. Sunday 13th of May is a very exciting day for us. We are hosting our second ever Felt Fashion Show and have received some spectacular entries. On the same day we are holding our AGM (very brief meeting) in the Church of Ireland Parish Centre in Lucan. It is always a wonderful opportunity to meet up with old and new felting friends, eat cake and get the latest news. There will be stalls from the Wool Initiative, the Yarn Room and all the way from Prato in Italy the DHG (Dyeing House Group) http://www.dhgshop.it/ – they are bring a huge range of wool and silk from Italy, the prices are really good (especially as we don’t have to pay P&P and there is the advantage that you can see and feel the fibres), they are also a discount for Feltmakers Ireland members on the day. Future workshops to look out for are a series of Recession Sessions in our studio (Basic Feltmaking, Needle Felting and Dyeing) – watch the website for more details. Judit Pocss coming in September and Jeanette Appleton will be giving a two day workshop with us at the end of October. Yippee!